President Obama spent the first three years of his administration making life miserable for people who profit from higher education, by taking on the powerful student loan and for-profit higher education industries. America’s traditional non-profit colleges and universities quietly stood on the sidelines, content to keep attention focused on their competitors and away from their own rising costs. But now the non-profits have themselves been thrust into the spotlight. The Obama administration promises finally to tackle the root cause of higher education unaffordability: tuition prices that have been spiraling ever-upward for the last three decades. But college administrators would be forgiven for feeling panic: What “Federal aid” was the administration talking about? What did they mean by “good value”? At a speech Friday morning at the University of Michigan, Obama elaborated even further. He proposed a “Race to the Top” modeled after his successful efforts to spur state reform of K-12 schools. States would be rewarded for restructuring their college financing systems and continuing to support higher learning. A new “College Scorecard” would rate colleges on price, graduation, debt and employment, helping students and parents decide where to enroll. Work-study jobs would double, and student loan interest rates would be kept low. Most importantly, billions of dollars in federal aid would become contingent on colleges keeping prices reasonable and low. Colleges that successfully enroll and graduate low-income students, educate people well, and help students find jobs and repay debt would get more federal aid for student loans and other programs. Colleges that fail would not. The speech sets a striking precedent. For the first time, a Democratic President is threatening the funding of his bedrock liberal constituency in traditional higher education. This is a welcome and necessary development—indeed, only someone with Obama’s liberal credentials will be able to make headway in taking on an industry that has long protected its special relationship with the American taxpayer. It won’t be easy, though. If Obama is serious about holding down college costs, he’ll find that his battles with lenders and for-profits were only a warm-up for the main event. WHEN THE FEDERAL GOVERNMENT first got into the business of providing need-based grants and loans in the 1960s, it gave only a small fraction of the money that colleges received to educate their students. But the federal role grew over time. In 2001, federal grants, loans and tax credits provided higher education with about $64 billion a year in inflation-adjusted 2010 dollars. By 2011, the sum had grown to $167 billion, a 164 percent increase in just ten years. As states have cut higher education budgets and stagnant middle-class wages have left students with less money to pay for college out-of-pocket, the federal government has stepped in as the funder of last resort--federalizing the American higher education system by default. Those dollars, however, have come with few strings attached. The market was trusted to ensure quality and the market didn’t work very well—there are, today, hundreds of public and private non-profit colleges with poor graduation rates, rising tuition, and worsening student loan default rates. Meanwhile, recent research suggests that the government is subsidizing a great number of universities at which students aren’t learning much. Now, President Obama has decided to use the leverage created by increased federal funding to fix these problems. What kind of policies does he intend to pursue to that end? 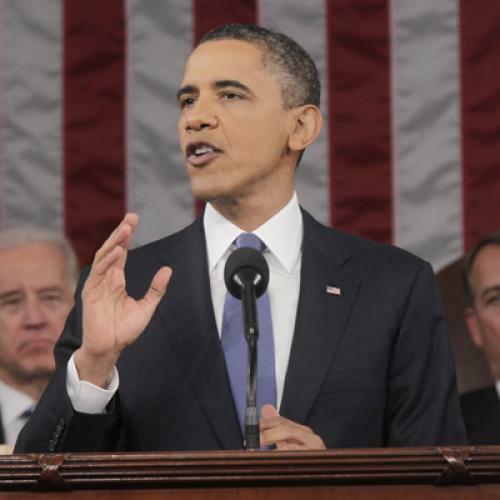 A key distinction can be found between what Obama said in the State of the Union and what his subsequent speeches and policy documents suggest. Before Congress and a national television audience, he talked exclusively about higher education prices, an obvious choice for a live event meant to establish broad themes that provoke and persuade. Prices, however, are notoriously difficult to regulate. Cal Tech costs over $50,000 per year to attend, but it’s presumably very much worth it. A cheap college, on the other hand, could also be extraordinarily bad. A few years ago, Congress required the U.S. Department of Education to publish lists of the colleges with the biggest change in prices. But this method can end up flagging good colleges that simply raise prices from very cheap to the middle of the pack. Unsurprisingly, the lists have had little effect on college pricing. In the policy documents that accompanied Obama’s State of the Union, and in the more detailed plans released on Friday morning, the administration used an additional word: value. Value is not price—it’s price in relation to quality. What kind of colleges would run afoul of regulations that consider both price and value? Obama was a polite enough guest not to say so, but a number of colleges and universities in Michigan itself have results that would not look good on his new “College Scorecard” and might jeopardize their federal funds. For example, of the roughly 6,000 African-American undergraduates who attend Wayne State University in Detroit every year—nearly a third of the total student body—less than ten percent can be expected to graduate within six years. For-profit colleges with those kinds of numbers have been raked over the coals in Congress and the media, and rightfully so: What kind of value to students does a university with such results really provide? On the price side of the equation, the well-regarded University of Michigan-Ann Arbor has only increased tuition by 11.6 percent over the last four years, less than most of its flagship university peers. (Rates at the university’s Dearborn campus have increased almost three times faster.) But with Ann-Arbor’s cost-containment strategies potentially undermined by the Michigan state government’s decision last year to cut higher education funding by 12 percent, it’s unlikely that it would be in a strong position to benefit from Obama’s newly proposed Race to the Top. Obama’s proposal creates a dilemma for Congressional Republicans. Just a few years ago, former chairman of House Higher Education Committee Buck McKeon proposed tying federal aid to college price increases. The current Speaker of the House, John Boehner, was a supporter. The higher education lobby fought the idea tooth and nail and ultimately won. During last year’s debate over regulating for-profit colleges, many Republicans argued that non-profit colleges should be subject to similar scrutiny. On Friday, the administration specifically defined value in part as “offering quality education and training that prepares graduates to obtain employment and repay their loans.” Those are essentially the criteria now being used to judge for-profits, which will be denied federal aid if their graduates can’t get jobs and repay their loans. College is about much more than getting a job, of course—but employment is hugely important, and it’s only fair to consider employment results when we judge higher education. Of course, bipartisan compromise is always hard to achieve in an election year. But even if change doesn’t come immediately, Obama’s new stance on higher education could have far-reaching effects on the political atmosphere in which higher education policy is made. Public anxiety over college costs has now reached the point where the urge for reform is crossing party lines. The higher education lobby is one of the best in the business and will no doubt use its considerable resources to try and scuttle any meaningful reforms while publicly insisting that they, too, are deeply committed to change. This is what industries do when their sources of accountability-free government money are threatened. But the administration didn’t take no for an answer from for-profit colleges, and it deserves credit for starting to apply similar scrutiny to non-profit colleges, too.